Hot on the heels of Ford’s launch of the Ranger Raptor in Thailand, Toyota has unveiled a range of beefed-up 2019, Tundra, 4Runner and Tacoma models. These will be on display at the Chicago Auto Show that runs from 10 -19 February, but unlike Ford’s Ranger Raptor, these won’t be coming to South Africa. 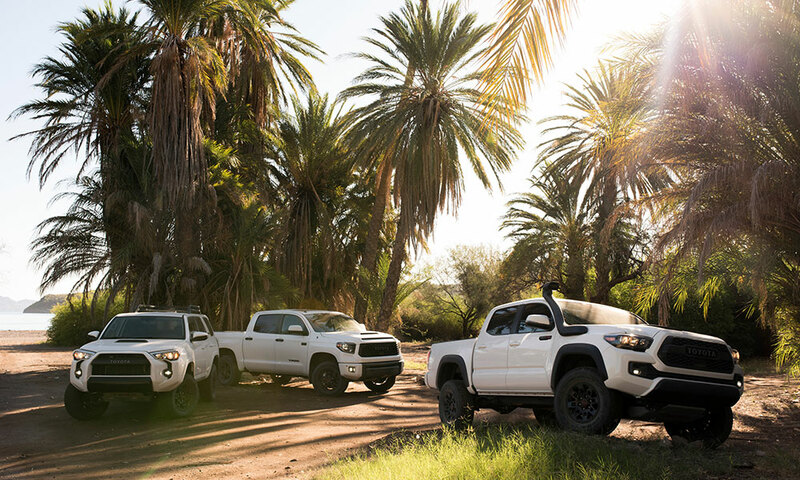 The three models feature all feature Fox shocks and ‘a host of impressive off-road equipment’ designed by the engineers at Toyota Racing Development (TRD). They also get decals and interior enhancements. The Toyota Tacoma TRD Pro gets enhanced 2.5-inch Fox front shocks paired with TRD-tuned springs giving it an additional 1 inch of front lift. A larger front sway bar is employed to retain crisp steering and refined road manners. The Tacoma also features 2.5-inch rear shocks, paired with 2-inch piggyback reservoirs, containing extra oil. 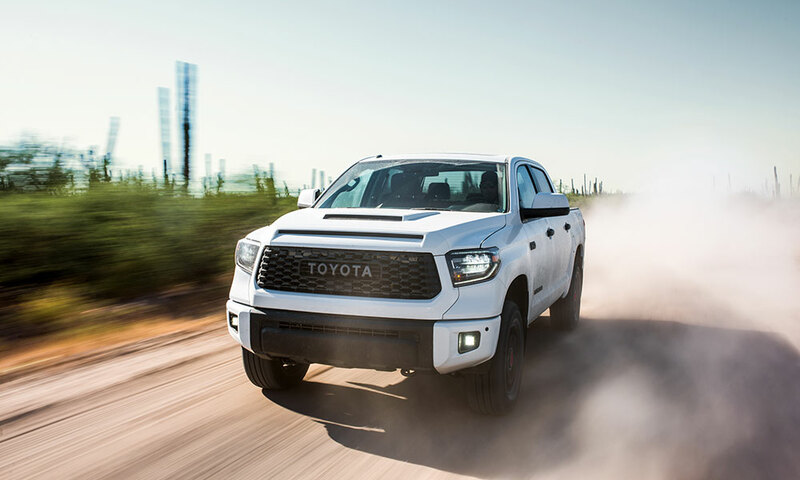 The exterior of the Tacoma TRD Pro features a new front skid plate with TRD red lettering, while the exhaust is accented with a black chrome tip. The Tacoma has a 1-inch wider track than the standard model and is fitted with 16-inch TRD Pro black alloy wheels, wrapped in P265/70R16 Goodyear Wrangler Kevlar All-Terrain tyres. The Tundra TRD Pro also gets a TRD Pro skid plate ( 1/4-inch) with signature red Toyota lettering underneath and there is the option of an available moonroof. The Tundra comes with LED headlamps and foglamps. New 18-inch BBS forged-aluminum, five-spoke satin black wheels are featured on Tundra covered in Michelin P275/65 all-terrain tyres. The 4Runner TRD Pro features a new roof rack as well as 17-inch matte-black TRD alloys wrapped in Nitto Terra Grappler P265/70 all-terrain tyres. All three models come with Entune Premium JBL Audio with integrated navigation and app suite. Other interior appointments include TRD Pro floor mats, TRD shift knob, and red-stitched Softex seats with red TRD logos on the front headrests. Additional TRD Pro exterior features include LED fog lights, blacked-out TOYOTA grille, and projector-beam headlights with smoked trim.